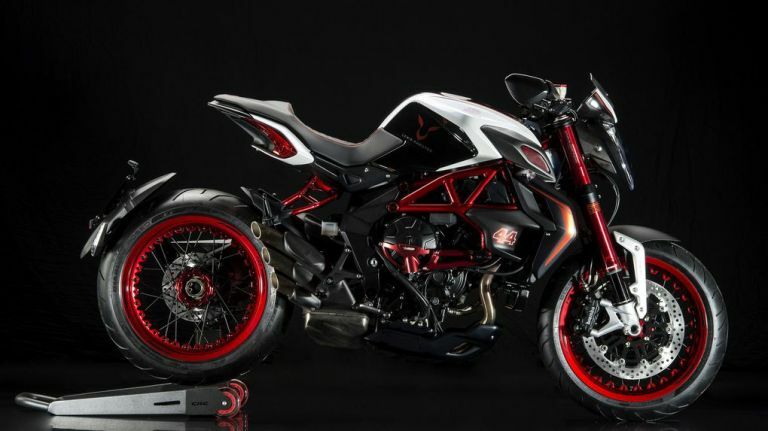 Three-time world F1 champion Lewis Hamilton has teamed up with well known superbike brand MV Agusta, who over the years has had clients such as Montoya and Irvine, and even Ayrton Senna knock at their door. Their creation is the Dragster RR LH44- a bike with brute power and devilishly good looks. In terms of specs its pretty similar to the standard 'dragster' housing a three-cylinder power unit that unleashes 140-horse power. Compare the horse power to a standard scooter you would commute around town in having five horse power, you can just aobut imagine the 'breakneck' speed that the Dragster RR can achieve when you hit the throttle. Hamilton worked extremely closely with the Castiglioni Research Centre for several months as they chose details, finishes and exclusive accessories, resulting in a superbike that will now be right at the top of any discerning motorbike lover's wish list. However if you want to get your hands on one you'll have to act fast as only 244 of the bikes have been made. The good news is that some of those will go on sale right here in the UK. There has been no mention of price, but cheapness seems unlikely.